I knew this day would come. Every other girl in the neighborhood is into them so why wouldn’t P join in? 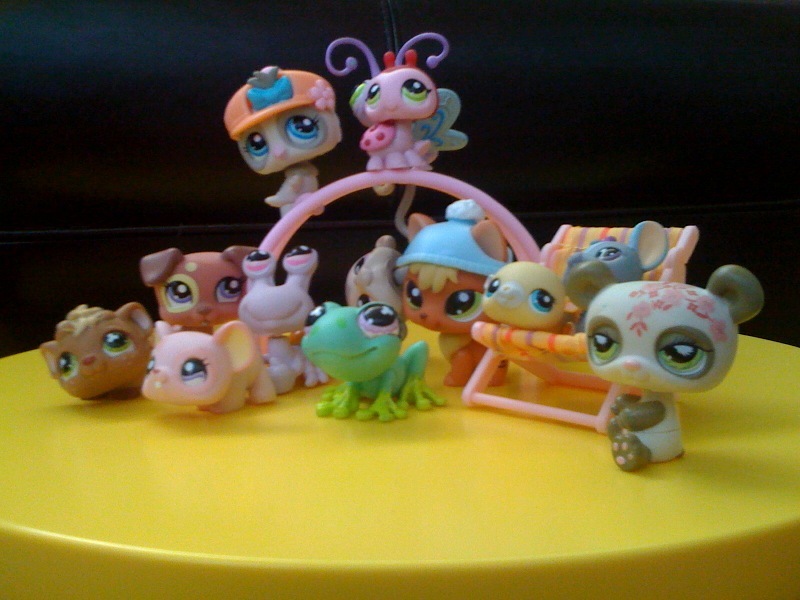 Littlest Pet Shops. They’re really cute, with cute accessories. I just can’t really tell one apart from the other. Some I don’t even know what they are…a dog, a bunny, a mole? But as far as kid trends go I think this one is pretty great. The Bratz Dolls are a huge NO in this house. I’m now really on board with buying these with our second round of potty training. Last time I used stickers which worked at first. Then P didn’t really care. Stickers have no lasting value. But the LPS…as the cool kids call them, are a big incentive. Peeing in the potty is set. She does it on her own without even mentioning she has to go. Yesterday as we ran errands at the mall she told me she had to go twice. No accidents no problem. Pooing is still a miss. Not even close. Which to be honest, is less messier to clean up than peeing. So, the LPS incentive is now that for every two times she pees in the potty she gets one character or play piece (from a playset) and every time she poops in the potty she gets two. Thank God they’re on sale at Target right now. Next Next post: Can Tennis Change Your Life?